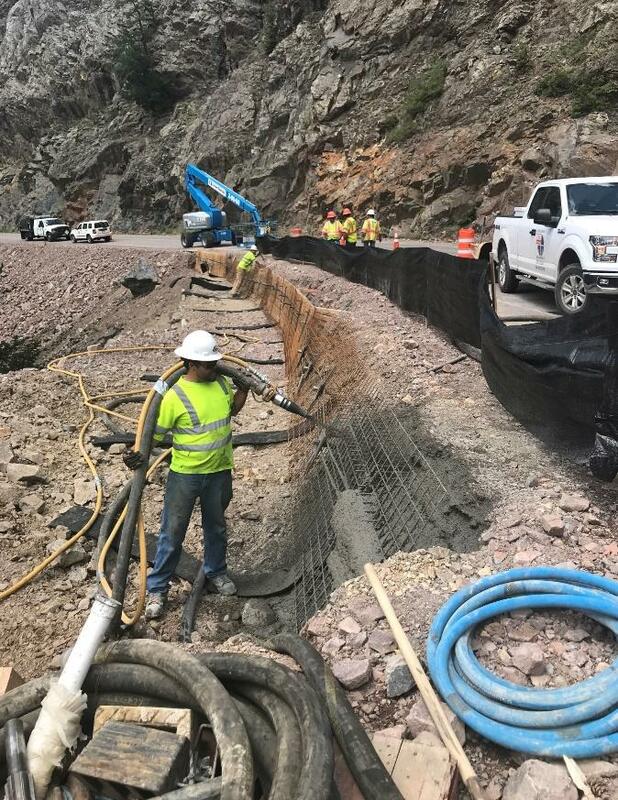 SOUTHWEST COLORADO—CDOT continues to repair a structure beneath US Highway 550 Red Mountain Pass, just south of Ouray, following a rock slide two weekends ago. Crews are also working on the cliff wall above the highway. Immediately following a severe storm event on Sunday, July 8, CDOT's Engineering and Geotechnical Units assessed damage to the road and crib wall just north of the Engineer Pass area. A crib wall is an under-road and retaining wall structure that supports the roadway. 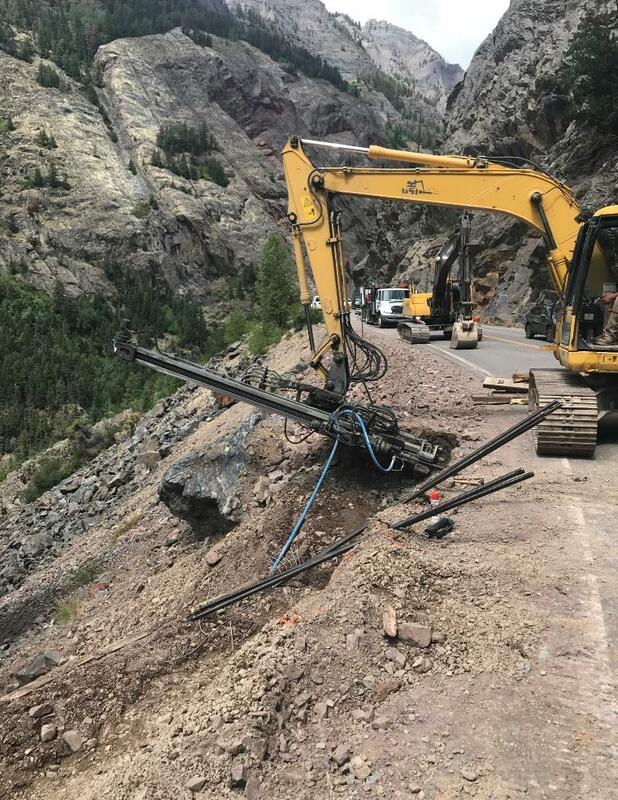 "Fast flowing debris clogged the inlet on the cliff side (east side) of the highway causing water, mud and rocks to run on top of the highway rather than through the intended inlet," explained CDOT Program Engineer Kevin Curry. "Water and debris also causing damage to the crib wall's wood beam timber facing and washed out the fill. Additionally, damage was sustained to the MSE (Mechanically Stabilized Earth) wall, which is the main support for this road." A damaged crib wall is being reconstructed on US 550, south of Ouray. Steel posts and mesh are being filled with concrete (shotcrete) to stabilize and support the roadway. Damage was caused by a fast-moving debris flow. At the same time as crib wall repairs are happening, rock-scaling crews will also clean loose material from mesh and fencing on the Ruby Walls cliff side. installing micro-piles to be drilled vertically into bedrock at the footing or base of the crib wall. These micro-piles will further stabilize the roadway. "We've had excellent collaboration among CDOT's Engineering and Geo-technical teams, along with GSI's proposed design work," added Curry. "It was originally thought that only temporary repairs could be accomplished and a larger-scaled project would be required later this fall, but the teamwork has resulted in a lasting fix." While crib wall reconstruction and traffic control is already in place, CDOT will also perform rockfall mitigation work in the area. 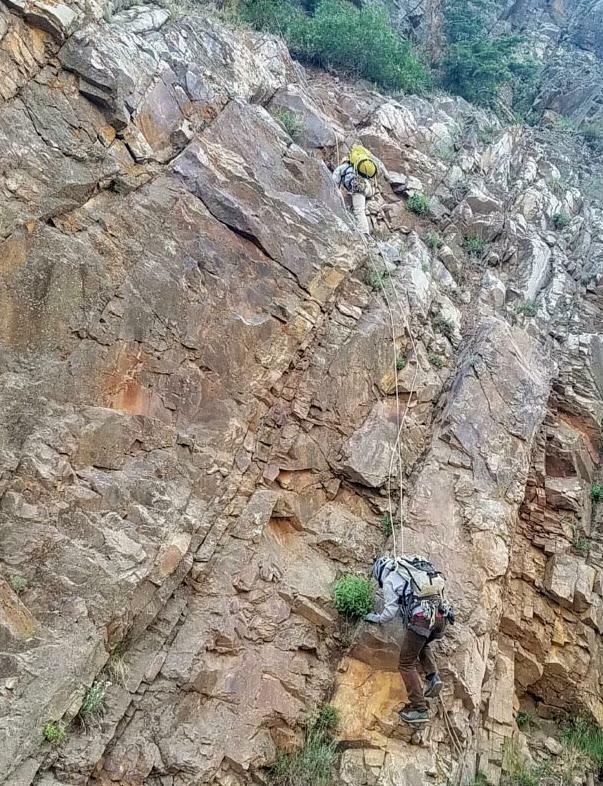 "This is the perfect time to take advantage of rock scaling, and cleaning loose material near the mesh and fencing on the Ruby Walls cliff-side," Curry said. "The recent storm event deposited a large amount of debris in the mesh and fencing that was installed several years ago." The additional rock-mitigation work started on Thursday, July 19. Flaggers will control both northbound and southbound traffic. Traffic holds will be intermittent through the work days and should last no more than 30 minutes. Rockfall mitigation work should be completed in less than a week. Traffic will then be controlled again by a portable traffic light signal while crews continue to work on the crib wall. Reconstruction of the crib wall should be completed and the roadway opened back to two-way traffic by the end of July.